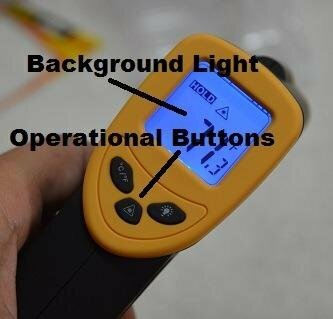 "Take Accurate temperature readings with this laser-sighted infrared gun-style thermometer. Reads in Celsius or Fahrenheit, there is a switch on the panel to choose between them.There's also a switch to turn on or off the laser sight and adjust the emissivity on different objects." 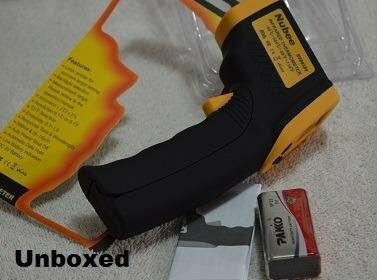 I was sent the yellow non-contact temperature gun from Nubee to review. 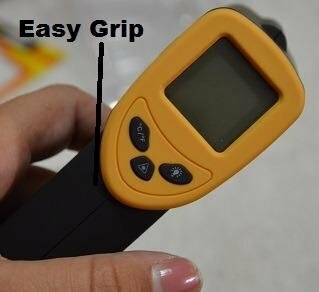 This temperature gun costs $14.77. Shipping is free with Amazon Prime. This temperature gun arrived safely. It was packaged in an easy-open package that basically flips open. It is clear, so you can see through to the actual product. There were no damages or issues during shipment. The instructions are separate from the quick-start insert. The 9V battery is also included, and that's awesome. This is a very nice temperature gun, and I know that because the other one that I have is horrible in comparison. This has a very nice and comfortable grip on it along with a trigger operator. 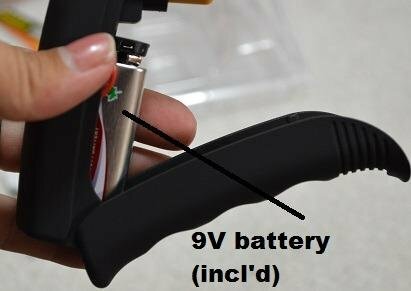 The 9V battery inserts directly into the handle. Beyond the trigger, the only other operation buttons are on the front of the gun. There is a screen that provides your information. I have not found any cons of this temperature gun. 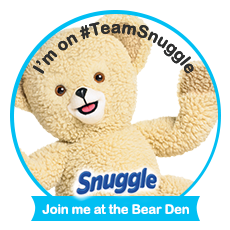 I have been having SO much fun with this. I know, I know—that’s a very weird statement for something like a temperature gun… but it’s true! My husband and I used to house ball pythons, and a temperature gun was a necessity because you kind of didn’t want to stick your hands in all of the tubs, especially with the feisty ones. This particular gun is very nice. It’s weighted, so you can actually feel the quality of the materials while you hold it in your hand. The grip is soft yet solid, making for a comfortable handle. There are only three buttons that you need to familiarize yourself with, and a manual covers all of the fine details. This runs on a 9V battery (which is included…yay!). I have found this to be completely accurate, and for that reason, this is my go-to. I definitely recommend it. Are you wanting to try the Nubee Temperature Gun, too? Click the link below, and order away! I will for sure have to try this! 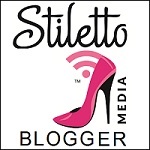 Thank you for the great review!! I have been looking at a much more expensive version of this as a gift. This looks like a better alternative to something we can try to use to find cold air leaks and non insulated spots in the winter. Thanks for the review! This article is an inspiration for me. Such descriptions are important.